To communicate the message, we made posters out of these materials: In hospital we took blood samples of our copywriter for the first billboard. 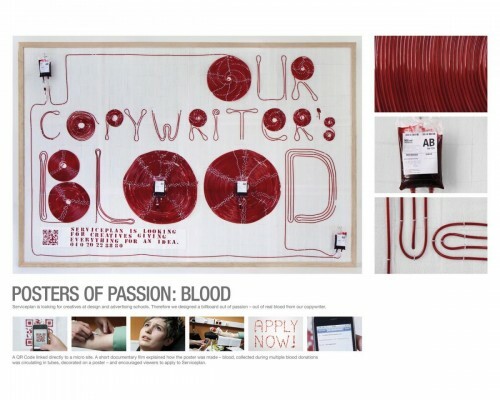 The blood was pumped through little tubes on the poster that gave the type. For the second one we rented a mobile sauna, in which our designers collected their sweat. The sweat was then sprayed on a poster out of black fabric. The salt made the type. 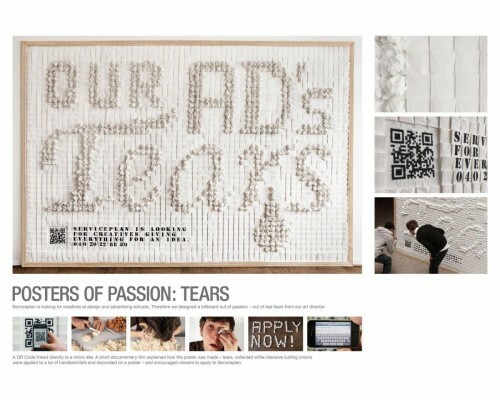 With 3 kilograms of raw onions we produced enough tears for the third billboard. We fixed the tears with tissues on the billboard.